Christine Lagarde, the head of the International Monetary Fund, was negligent in her handling of a long-running fraud case, a French court has ruled. A special court made up of members of parliament and magistrates announced the guilty verdict on Monday in Paris. But it also said Lagarde won't be fined, serve any jail time, or receive a criminal record. Speaking on French TV, Lagarde's lawyer Patrick Maisonneuve described the unusual ruling and absence of a sentence as a partial acquittal, but said she may appeal. 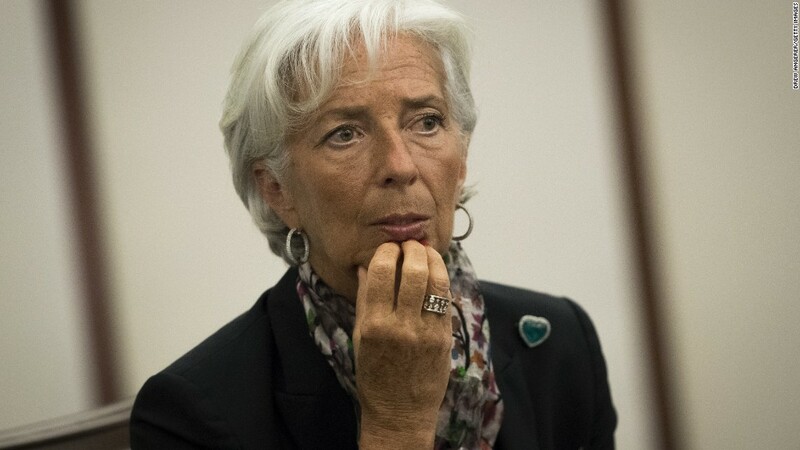 The IMF's executive board, which has been supportive of Lagarde throughout the case, stood by her in the wake of the verdict. The board said in a statement Monday that it "reaffirms its full confidence in the managing director's ability to continue to effectively carry out her duties." The IMF is in charge of maintaining financial stability around the world. Lagarde has played a pivotal role in IMF-backed rescues of countries on the brink of collapse, including Greece and Ukraine. Lagarde had been accused of giving preferential treatment to businessman-turned-politician Bernard Tapie as he pursued a legal challenge against the French government. At the time, Lagarde was the French economy minister. Tapie eventually won his case and was awarded €293 million ($306 million), plus interest. Lagarde was found to be negligent for not challenging the award of such a large sum of taxpayers' money. IMF chief Christine Lagarde was not in court Monday to hear the verdict but attended last week's trial. She was not in court for the verdict. Her lawyer said she was in Washington for work. And Rodrigo Rato, who preceded him in the job, is currently on trial on corruption charges in Spain. The case has its roots in the early 1990s when Tapie joined the French government and sold his stake in Adidas (ADDYY) to avoid accusations of a conflict of interest. He instructed Credit Lyonnais to handle the sale for him. The bank sold Adidas for just under €318 million ($332 million) the following year to a group of buyers, including a subsidiary of Credit Lyonnais. A year later, Adidas was sold again, this time for €533 million, netting the bank a large profit. Tapie sued, claiming he'd been defrauded. By the time the case came to court, Credit Lyonnais was collapsing and the French state had taken over its liabilities. So Tapie pursued his claim against the government for a decade until a court awarded him €135 million in damages. That ruling was overturned on appeal. 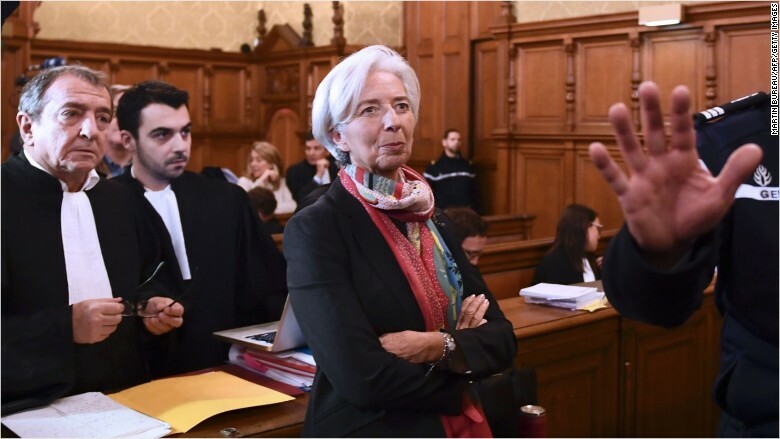 But rather than leave Tapie to fight on in court, Lagarde decided to refer the matter to arbitration. A special panel of judges awarded Tapie €293 million, plus interest, just months later. -- Jim Bittermann and Océane Cornevin contributed reporting.